A quick shot of some or Rich's work at Art at Ancrum. He is teaching for a term at the moment and the weekend was the first chance he'd had to do any drawing for ages. He loved it and produced another Salty Dog which has a new home already! 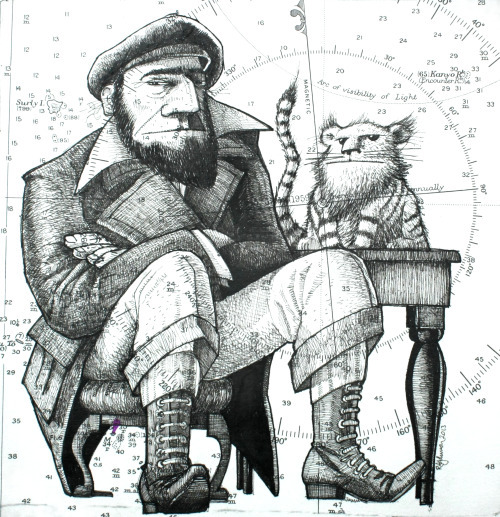 I love his drawings and this one especially because of the serendipitous 'surly' on the sea chart just above his right shoulder, splendid!